Arjo Atayde and Sue Ramirez’s tandem in the afternoon series “Hanggang Saan” have had netizens and their growing fan base raving after their intimate kissing scene last Monday (Dec 11), which proved their undeniable on-screen chemistry to viewers. Known as ArSue to their followers, the first kiss of Arjo and Sue’s characters Paco and Anna sent netizens into a frenzy and impressed viewers with their truthful portrayal. “I wasn’t able to watch it on TV but my heart was going to explode! Was Arjo the first leading man to kiss Sue? So kilig,” said @jazzie_tagud. “Glad that Arjo and Sue are paired up together. They are both skilled actors. They also have good hearts,” @marydanguilan tweeted. “I’m so happy that both Sue and Arjo are getting well-deserved breaks. I’ve been waiting for Sue to shine and we all know how naturally talented Arjo is,” said @Raz_Elle. Viewers are glued on to the love story of Paco (Arjo) and Anna (Sue) in “Hanggang Saan,” who both first met when the young man applied as the maiden’s driver. Their friendship then turned into romance, bridging their families together. However, little did they know that their lives were already connected because Paco’s mother Sonya (Sylvia Sanchez) is the suspect behind the death of Anna’s father. 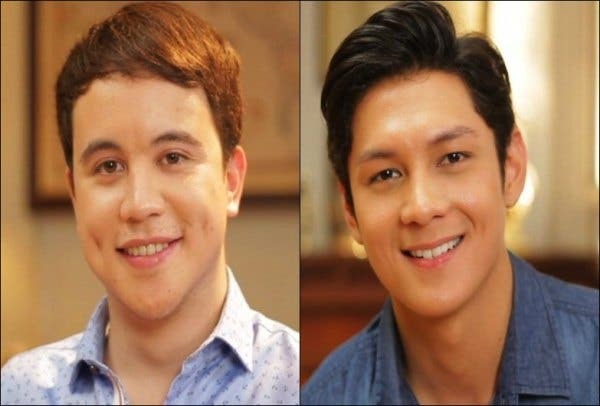 Both Arjo and Sue are happy to have been given the chance to star in a series with their own on-screen partner, especially after they started their careers as third wheel to big loveteams. “Even in interviews before, I would say that I’ve always I wanted to work with Arjo. I am thankful to GMO unit (headed by Ginny Monteagudo-Ocampo) for giving me this chance to be with him in the show,” said Sue. “I’ve been looking forward to working with her. I believe in working with people who can help me grow, and that’s what Sue is to me,” Arjo also added. As their story continues, Paco and Anna romance continues to blossom as they are now officially a couple. How will their brewing relationship be affected once they discover Sonya’s secrets? Don’t miss the story that will show up to what extent a mother can sacrifice for her son, “Hanggang Saan,” after “Pusong Ligaw” on ABS-CBN and ABS-CBN HD (SkyCable ch 167). For updates, log on to fb.com/hanggangsaan and follow @hanggangsaantv on Twitter and @hanggangsaan on Instagram.